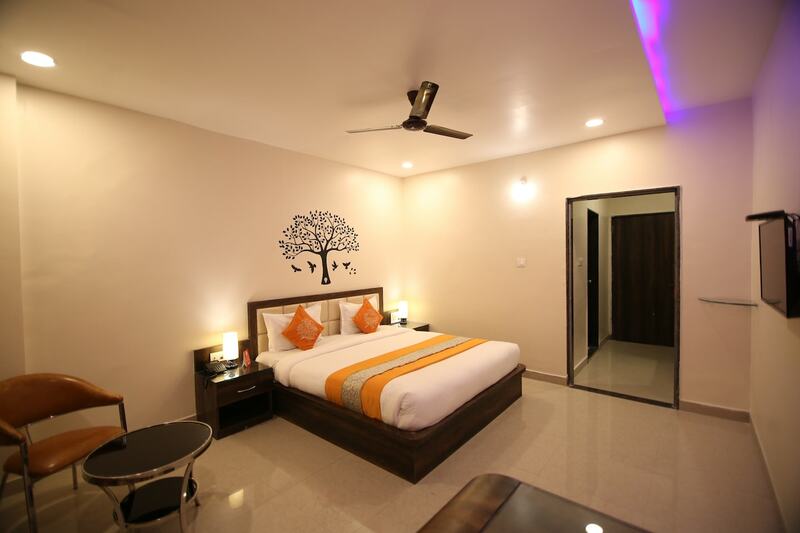 Located near Ajooba Park on VIP Road, Hotel Sheetal International is a charming lodging space presenting world-class stay at affordable prices. The hotel comes with a bar facility and has very relaxing surrounding lined with green trees. The rooms are big with lots of living and storage space. The walls are painted in royal shades and the whole feel is accentuated with a very smart use of lights. The rooms come with beautiful views of the nearby green areas. For the convenience of the guests, the hotel offers facilities like power backup, laundry and card payment options.